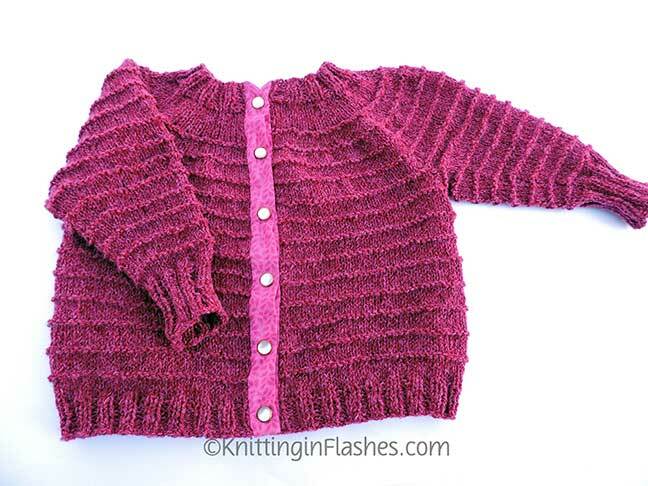 I finished a sweater for Mr. Aitch’s grand niece’s first birthday and I’m not happy with the result. Funny how I didn’t see the lopsidedness of the snap band and the ridges until I took the pics. 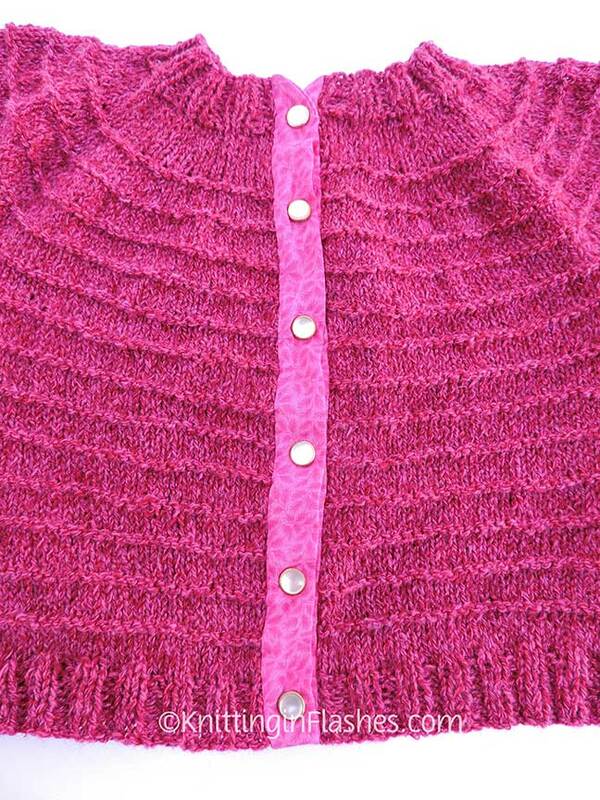 I didn’t want to pick up all those stitches for a button band and should have just done a 4-5 stitch edging on the two front edges as I was knitting. But no. 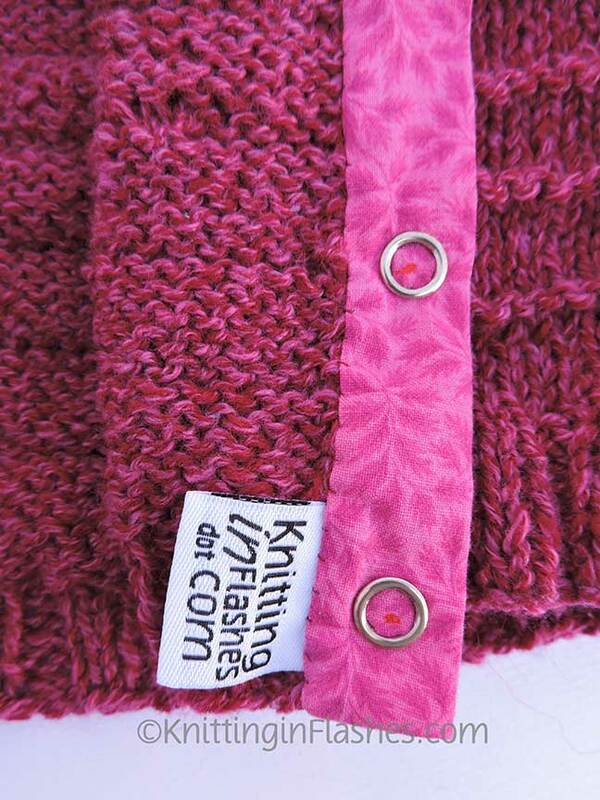 I wanted to add a fabric button band and snaps to make it easier to fasten and unfasten. Not matching up the horizontal ridges was a rookie mistake. I had such a time of getting those snaps on (I broke three in the process) that I just want to be done with it. 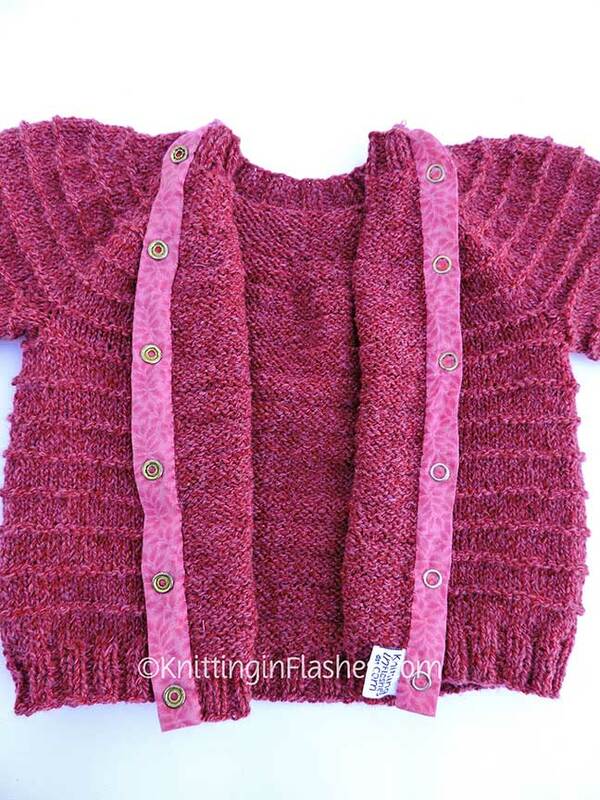 This entry was posted in finished object, knit, knitting, knitting pattern, sweater and tagged family, knit, knitting, pattern, sweater by Patti_is_knittinginflashes. Bookmark the permalink. It still looks beautiful. And I had to look really closely to see the off part. Kids wear stuff crooked all the time and no one else would notice! I really hate when that happens. Then I ask myself “why did I not see that?”. Most likely would have done the same. At least.you will remember next time. Sorry!